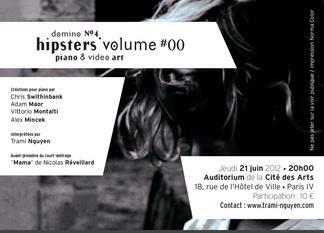 This Thursday, coinciding with the Fête de la Musique and the summer solstice, Trami Nguyen is giving a piano recital at Paris’s Cité des Arts (Métro Pont Marie), which will include the second and third of my Sky Studies from 2009 alongside music by Adam Maor, Vittorio Montalti and Alex Mincek. There will also be a new short film by Nicolas Réveillard. Come along?